For many of you, this interviewee needs no introduction. 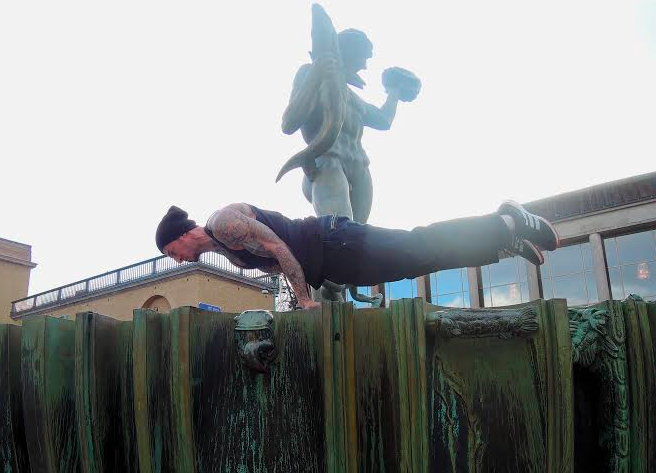 His signature calisthenic style, tattoos, and last name is enough to conjure up feelings of extreme excitement! That’s right, it’s, Danny Kavadlo! Danny has studied Calisthenics for the last 25 years and has received global recognition including making an appearance on the television show “20/20” and being featured in New York Times and Men’s Fitness. Interviewing Danny Kavadlo was both enlightening and empowering. His answers will both surprise and inspire you. For anyone who feels like they got a late start in calisthenics this interview is for you. I can’t think of a better way to start off 2014, so let’s get started!! 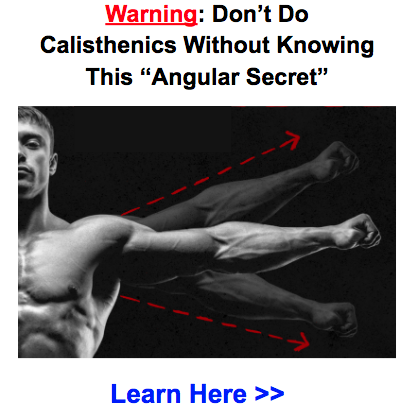 1. Who are you and why did you choose calisthenics? I was born in 1974 in Brooklyn, New York. I train. I cook. I write. I travel as much as I can. I believe in fitness and life, you reap what you sow. 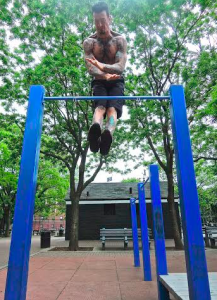 Whether I chose calisthenics or it chose me, I couldn’t say, but the raw, stripped-down aspect of calisthenics ties into my overall approach to life. I don’t like to be burdened with unnecessary baggage, whether it’s in the form of gratuitous possessions, bottled-up emotions, or clunky, unnecessary workout equipment. Calisthenics embodies the beauty of accomplishment, using nothing but your own body, mind and soul. Self-empowerment. 2. What was the turning point for you, to take calisthenics from a passion to a job? That’s a great question. Ironically, although I’ve been practicing calisthenics consistently for over twenty-five years (longer than anything else), when I became a personal trainer, calisthenics was only part of the equation. Many don’t know this, but being a professional trainer usually does not mean working within your niche. It means trying to pay your bills. I speak about this in my book Everybody Needs Training . In the early days, though I tried to have every client do a form of squat/push-up/pull, my job was to help them in whatever capacity I could, which wasn’t always calisthenics. It was only after years of establishing myself as a trainer, manager, presenter and figure within the body-weight community, that folks seek me out for calisthenics specifically. 3. What was the best piece of advice that someone gave you in your calisthenic journey? I’ve gotten so much great advice over the years that it’s hard to say, but I’ll go with this: My friend, 71-year old Jack Arnow, training partner to the legendary Jasper Benincasa, told me to “enjoy every moment of training.” I’m confident he meant it about life too. 4. What type of dietary guidelines do you follow? 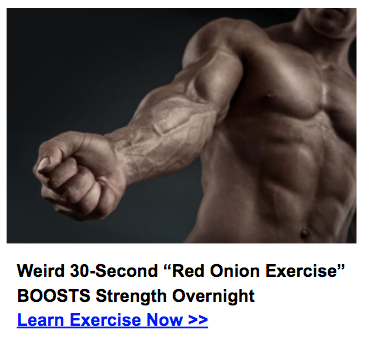 Do you do take any supplements? 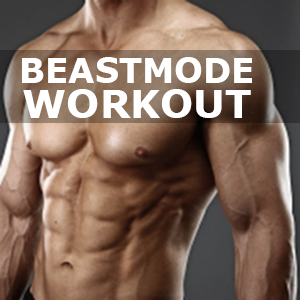 No multi-vitamins, extracts, protein drinks, creatine or fat burners… nothing. I get my nutrients from food and I cook it with care. I eat fish, not fish oils. Garlic, not garlic capsules. Real beef, not protein bars. Lots of greens, not powdered greens. Real food, baby. 5. What advice do you have for the person who is trying to master the more difficult calisthenic moves such as the human flag, front lever, planches, etc? Does anyone really “master” anything? We’re all students. The best I can offer is to be patient. Elite practitioners of calisthenics have a knack for making the hardest of moves look easy. What you don’t see is that these guys have spent years working on the basics, like squats, push-ups, pull-ups and dips, before they got good at the advanced moves. Calisthenics is a journey not a quick fix. Live in the present and enjoy the ride. 6. Everyone hits plateaus in their workouts. How do you prevent this from happening? You can’t prevent it from happening. But you can adjust your way of thinking. You must listen to and respect your body. When you feel you have plateaued on an exercise, you may have to temporarily step away. When you’re burnt on a human flag, maybe try some handstand training. Mix it up. 7. Who are your calisthenics role – models or heroes? Why? I‘m inspired by just about all the big names in calisthenics because they constantly push me to step up my game, but the person who made the single, biggest impression on me is someone you’ve never even heard of. Long ago, I met a guy named Shay in Tompkins Square Park. He’s the first person I ever saw do a 1-arm pull-up. Game changer. 8. Do you have calisthenic New Year’s Resolutions? If so, what? I don’t believe in New Year’s Resolutions. There are things you do and things you do not do. 9. Danny, you have already become a calisthenic inspiration to so many. What do you wish your legacy to be in the calisthenic arena? Wow. I never thought about it. This is already more than I ever expected and I’m very lucky. But I suppose at the end of the day, I hope to have been a motivator. Here’s the thing: I never even tried a muscle-up or human flag until I was in my thirties. I’m not special. I train hard and try to be honest with myself and those around me. If my story can help one person do their first pull-up, or their 500th, then I’m happy. Ahhhhhhh!!!!!! Why pistol squats? In all seriousness, everybody has different strengths and weaknesses. That’s part of the beauty of calisthenics and life in general. When Al and I instruct Progressive Calisthenics Certifications for Dragon Door, we observe this concept time and time again. 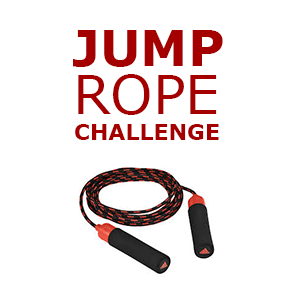 For example, one person may do a sick back lever, yet still need work on the front lever. The guy, right next to him, may be the complete opposite. Life is like that. It’s important to steer clear of a dogmatic or judgmental approach; we’re all in this together! But… I’m dodging the question, huh? Pistol squats are an exercise that I am really strong on, however Al is really, really, really strong on them, so he’s got me beat on that one. Ask me about push-ups next time! Check out Danny’s book Everybody Needs Training and the Progressive Calisthenics Certification to learn more.